Is it a parable about social justice? Abraham Lincoln: Vampire Hunter is traditional progressive storytelling. It uses an axe-swinging superhero, Abe Lincoln, to retell the Left’s primary mythos – a parasitic few live off the misery of the people. An attempt to grapple with dark chapters in our nation’s history? The idea of America as a nation secretly created and controlled by vampires actually builds on a long history of popular “subversion myths” in which Freemasons, communists, or other conspiracies have secretly taken control of an otherwise good nation and threaten its social order. Like vampire stories, subversion myths frame good and evil in clear, unwavering terms. As nocturnal creatures who attack unseen, the vampires of folklore represent one of the oldest forms of subversion myth. When Abraham starts in on his vampire-hunting career, the movie still takes time to drop plot cookies that illuminate how awesome and pro-abolition he is, and how this fact makes him beloved by all good people. Such as the moment when Mary Todd, his future wife, gets all interested in him after he says something vaguely anti-slavery. Or the time when he and the black boy from the first act (Will Johnson) end up in jail for fisticuffs against some men who are determined to cart Will away as a slave. And here I thought it was just a gimmick. Eli Lehrer wishes the National Trust for Historic Preservation would get out of everybody’s way. While nobody disputes that certain areas do deserve preservation or the Trust has done good work in protecting them them [sic], many places on the 2012 list have little to do with actual history and much to do with a busy-body attitude that seeks to diminish private property rights and waste tax dollars on dubious “preservation” efforts. Many courthouses in rural Texas (another item on the list of “national treasures”) are in poor shape but it’s not clear why they’re of any national significance — most have hosted nothing beyond workaday civil and criminal trials and few are architecturally distinguished. There’s no reason why Texas taxpayers should do what the trust wants and shovel millions more into “protecting” them if their own counties don’t see a value in doing so. Likewise, there’s no reason why a building that once housed a gym where boxer Joe Frazier trained is of any importance at all: while Frazier himself does have importance to sports history, it’s not typical or expected to preserve sports figures’ practice sites so tourists can visit them. They just aren’t very interesting. The same goes for utterly ordinary corrugated steel warehouses in the Port of Los Angles and an unexceptional small town in Ohio. Nothing truly historic happened in either place. Personally, I might give his opinions more weight if he wasn’t such a sloppy and uninformed commentator. Citing the controversy over proposed housing at Princeton Battlefield, Lehrer claims that “local busybodies still want to prevent Princeton University from building some housing in any area near the battlefield because they believe, among other things, that soldiers en route to the battle marched across it.” In fact, it’s not Princeton University that wants to build the housing, but the Institute for Advanced Study, which is completely independent of the university. More importantly, the Princeton Battlefield Society has identified the portion of the field in question as core battlefield land. Indeed, the very PBS document to which Lehrer links in his “local busybodies” quote identifies the parcel as such. Is it too much to ask that an op-ed writer read a little about the subject of his piece, especially that he read the documents to which he refers directly? Lehrer also writes that the Princeton battlefield is “already a state park.” The implication that historic sites are out of harm’s way once they receive designation as a park betrays ignorance of a seemingly obvious point. Such sites do not contain all the historic ground relating to a particular event. They only contain what preservationists and agencies have been able to acquire. The existence of a battlefield park only means that part of a given battlefield has obtained protected status, not that all the ground on which the battle took place is within the boundaries of a park. Even land within park boundaries is not immune from the traffic congestion, ruined viewsheds, and other problems that come with encroachment. In some cases, parcels of historic parks aren’t even contiguous, but instead are separated by other parcels of land over which park agencies have no control. Preservation doesn’t have to be all or nothing. We can have informed, reasonable discussions about this stuff—but we can’t do it with people who don’t really know what they’re talking about. My uncle just got back from New Orleans and reported an interesting conversation with a cab driver. The cabbie asked him what brought him to town and said that he always likes to find out what visitors are hoping to see. The most popular destination for his customers is the tomb of Marie Laveau, a nineteenth-century voodoo priestess. It made me think of all those people who patronize ghost tours at Gettysburg. I wonder how many of them don’t make any distinction between that and heritage tourism? The nonprofit Gettysburg Foundation operates the bookstore and a spokeswoman said the Gadsden flag merchandise serves a goal of representing the broader context of American history. Furthermore, Cindy Small said, there remain connections between the Gadsden flag and fighting at Gettysburg. “During the Civil War, the flag was used in some Southern states as a symbol of secession,” she said. Personally, I think there’s a legitimate case to be made that a Civil War battlefield isn’t the best venue for selling a flag usually associated with the Rev War, but this isn’t it. Look, when it comes to historic sites, the Gadsden flag is pretty neutral. Unless you’re a monarchist. Gioni doesn’t believe the Gettysburg bookstore is pushing partisan politics. Rather, he said, the items are probably stocked because they sell. I think that’s a safe bet. Stores usually stock items because they sell. The folks at Gettysburg denied any intention of pandering to present-day politics, and I don’t see any reason not to believe them. In any case, GNMP has only gotten one complaint about the Gadsden merch. So I’m not saying it’s just you, Gioni, but…it’s just you. No doubt you’ve all been waiting breathlessly for me to review Abraham Lincoln: Vampire Hunter. Wait no more. The short version: I went out of the theater feeling like the Calvinist who fell down the stairs, just glad it was over. On a much more positive note, you’ll have to excuse me for a moment. I need to go jump up and down while shrieking with girlish delight. Check out this fascinating item from NPR on the differences between teaching the War of 1812 in U.S. schools and teaching it in Canada. A teacher in Utah spends “a couple of days” on the war, with doses of the national anthem and Johnny Horton. A teacher in Ontario, by contrast, devotes “three to four weeks” to it. Three to four weeks! As a pre-Civil War kind of guy, I’d love to have that much time for early American subjects in my survey classes. Canadian units on the war aren’t just longer. They’re qualitatively different, full of important victories and heroic characters like Laura Secord. You’ve never heard of Laura Secord? Don’t sweat it; neither had I, and I’m supposed to have a master’s degree in this kind of stuff. One reason our memory is selective might be because America didn’t come out of the war’s first two years looking particularly good. Donald Hickey is editing a series of books on the war for John Hopkins University Press. …and hosted a ceremony where reps from the U.S., Britain, and Canada buried the hatchet. I’m still not forgiving them for Russell Brand. 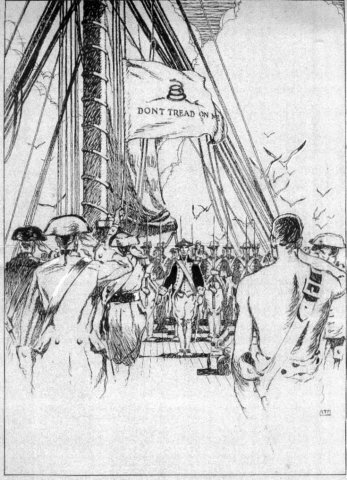 Finally, a Pennsylvania schoolteacher and his students suggest that we should re-christen the conflict the “Second War of Independence.” Not bad, but maybe we could add a little Hollywood-style pizzazz. I’m thinking WI:2 or War of Independence 2: War Harder. Too bad The Empire Strikes Back is already taken.